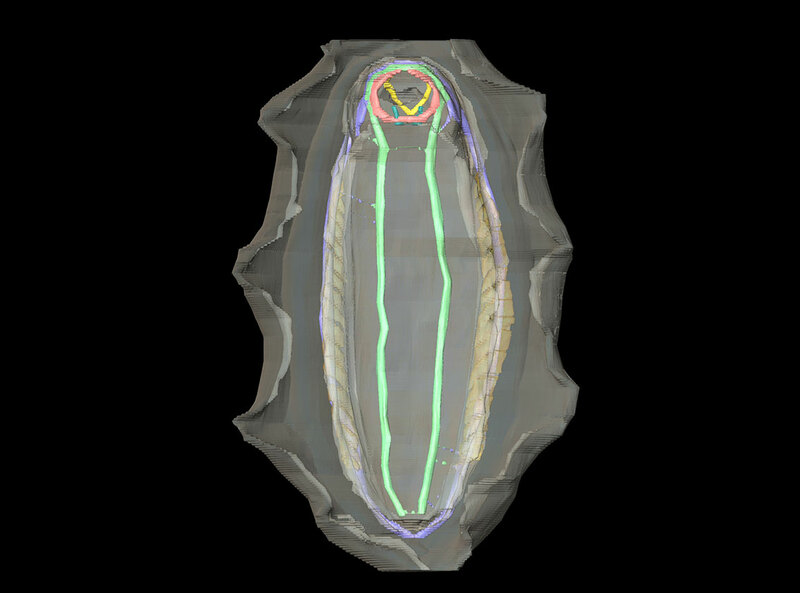 The application of cutting-edge methods for visualising and analysing specimens digitally and in three dimensions is key to research in the Museum. This includes applying non-destructive methods – especially X-ray microtomography, synchrotron X-ray tomographic microscopy and neutron tomography – to a variety of specimens, including some of the earliest fossil animals, insects preserved in amber and spiders from the Museum’s extensive biological and palaeontological collections. 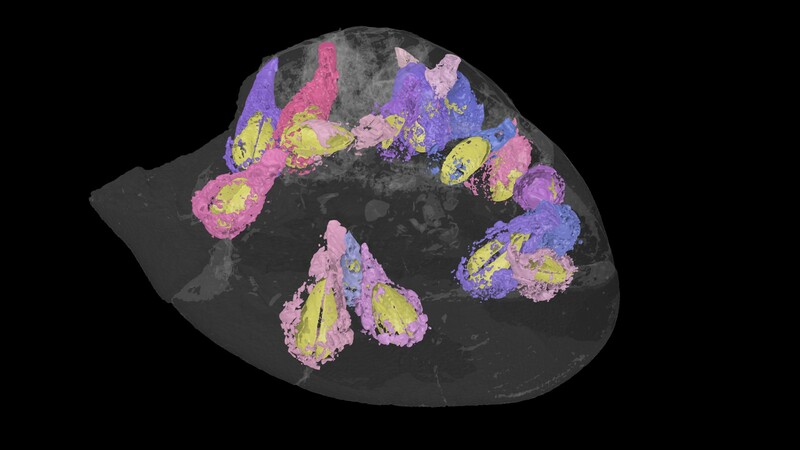 In addition, serial-grinding tomography is used to study exceptionally preserved fossils from the Silurian Herefordshire Lagerstätte, revealing their three-dimensional soft tissue anatomy. 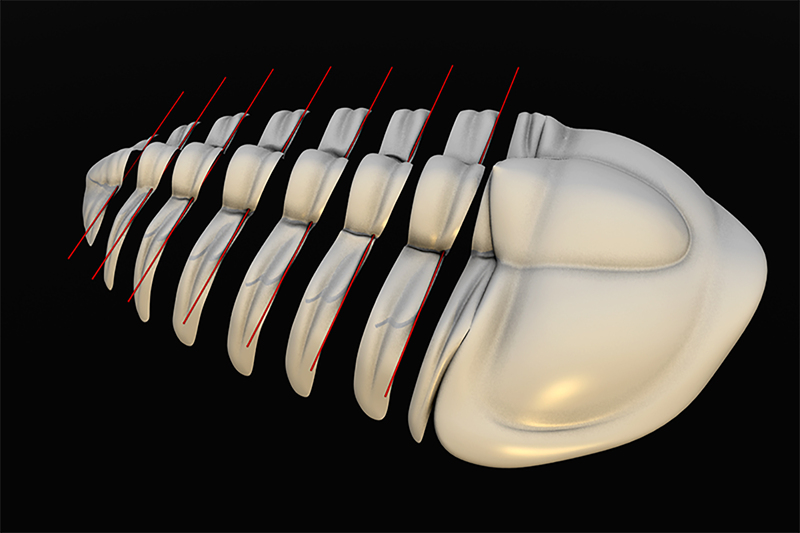 Museum researchers are taking a leading role in applying state-of-the-art computational methods in palaeontology. 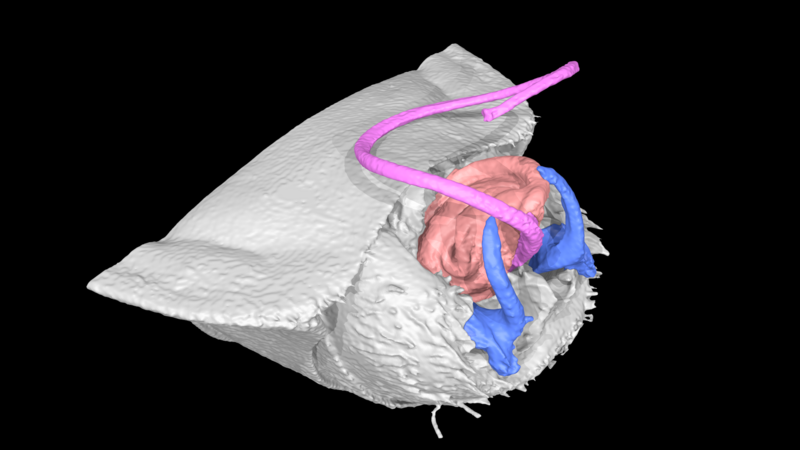 This includes using computational fluid dynamics to test hypotheses about how extinct species moved and fed. Research in this area has explored form and function in Ediacaran organisms, Palaeozoic echinoderms and marine vertebrates. The research group makes use of the facilities at a number of synchrotron beamlines (Diamond Light Source, European Synchrotron Radiation Facility and Swiss Light Source) to enable high-throughput imaging of specimens at sub-micron resolutions. The Museum is also well-equipped with facilities for virtual reconstruction, including high-performance workstations with licences for Mimics (3D visualisation) and COMSOL (computational fluid dynamics), as well as a MakerBot 3D printer for producing physical replicas of computer models.